AGGRESSIVE AND AGILE CHASSIS: The front and rear of the chassis—approach and departure angles—are tapered on the sides and bottom of the vehicle to reduce potential contact on tight trails and in rough terrain. 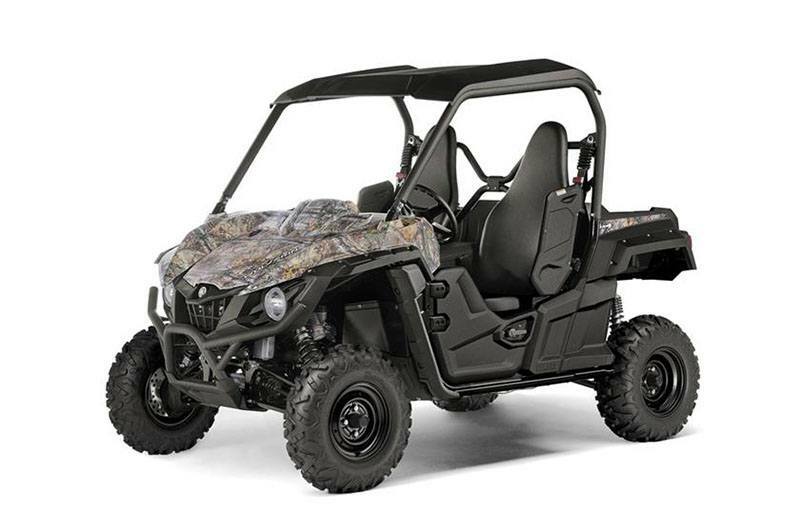 With an 81 inch wheelbase and 11.4 inch of ground clearance the Wolverine R-Spec EPS is designed for best-in-class terrainability and the body design with the low hood gives drivers maximum visibility to navigate tight, technical trails and challenging terrain. OFF-ROAD READY CHASSIS: Front wide-arc A-arms and full-length skid plates maximize durability and terrainability and provides 11.4 inch of ground clearance. 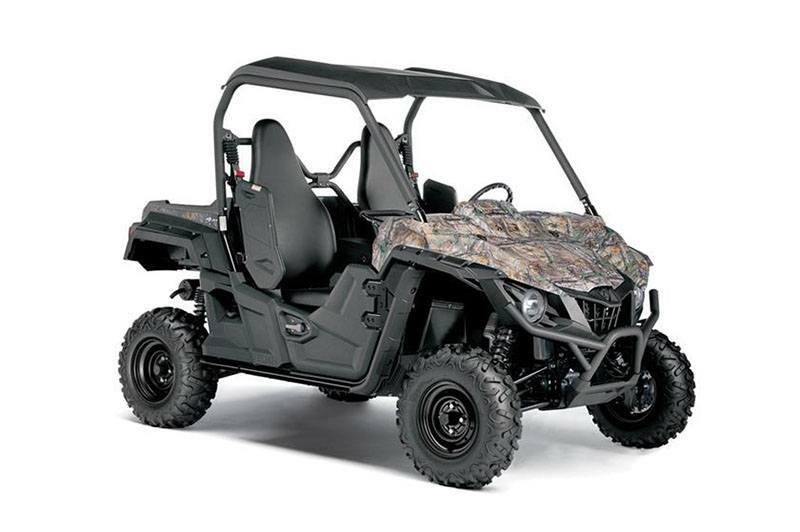 Flares on the frame protect the rear wheels from oncoming trees and rocks. 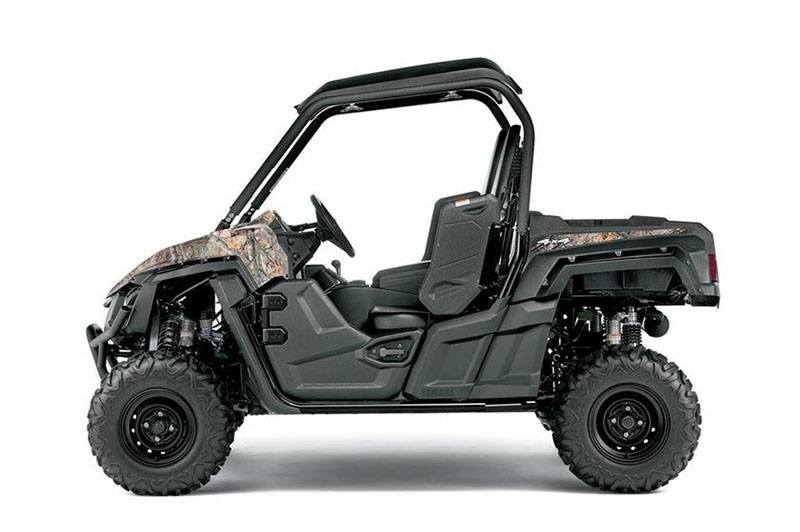 Exclusive 26-inch Maxxis® Bighorn® 2.0 tires provide optimum traction, durability, comfort and steering precision. YAMAHA'S UNIQUE ULTRAMATIC® CVT: Ultramatic® fully automatic transmission with high, low, reverse and neutral provides the industry’s most durable CVT transmission. The one-way sprag clutch produces the industry’s most natural-feeling all- wheel engine braking and eliminates “freewheeling” found in some competitive models. A centrifugal clutch maintains constant belt tension and eliminates slipping reducing belt wear and improving durability. 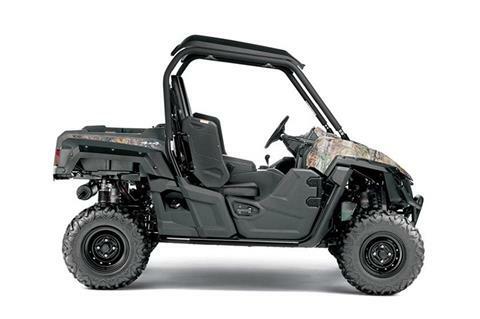 YAMAHA'S EXCLUSIVE ON-COMMAND® 4WD: Wolverine R-Spec EPS features On-Command, the industry’s most capable four wheel drive system. With a simple twist of the dial riders choose 2-wheel drive, 4-wheel limited slip, or 4-wheel full differential lock, enabling the Wolverine R-Spec to claw its way through just about anything.